quarters (about $10.00 worth ) for old meters that don't take credit cards. P.S. (Always put PLENTY of money in the meter. A tow-away and or a $60 ticket is not something you want to experience). PS - Dress in layers. It can get very hot quickly or drop down to 50 in winter. If you come in October and November when the Santa Ana winds are blowing, you'll be a little chilly on the water. Best Time of Year: If you're reading this any time between late October and June, just jump on the first plane out from wherever you are and get yourself to Southern California! By late October, the weather has cooled down from the September heat. (I'm always surprised to find it so warm in September in Southern California.) The weather in October used to be generally just plain lovely - cool in the mornings and evenings (65-68) and up to the 70's and low 80's during the day. However, as of 2015, October seems to be warmer. November might be a better choice from 2015 onward. While "winter weather" is beautiful in Orange County, the temperature can drop to the 50's during the day. The average temperature in Newport Beach in December is 48 degrees, but remember that is just an average. To a native Midwesterner like myself, it always seems warmer here because it's sunny, sunny, sunny. We've had Thanksgiving and Christmas dinners in the sand on the beach, wearing just light-to-medium weight jackets. However, be prepared to wear layers during the winter season since it can be cold in the morning and hot by the afternoon. The best reasons, however, to come during the "off" season are the prices! Hotel rooms are less, beach cottages are almost half the summer rate, and often tours and entertainment fees are less expensive as well. If you arrive in Spring, late March to early April, you'll hit the most beautiful flowering time of the year. 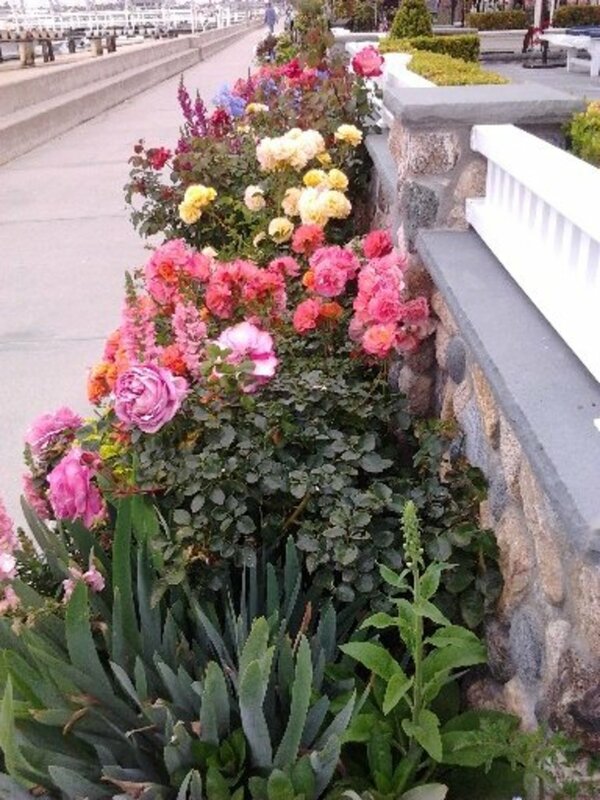 Boulevards on the Pacific Coast Highway in around Newport Beach, Costa Mesa, and Laguna Beach, are filled with Bird of Paradise tropical blooms and trees are graced with flower blossoms. It's a paradise of color. Best Days of the Week: Whether you come in Winter, Spring, Summer or Fall, your day trip to southern Orange County will be more productive if you're able to come on a weekday rather than the weekend. 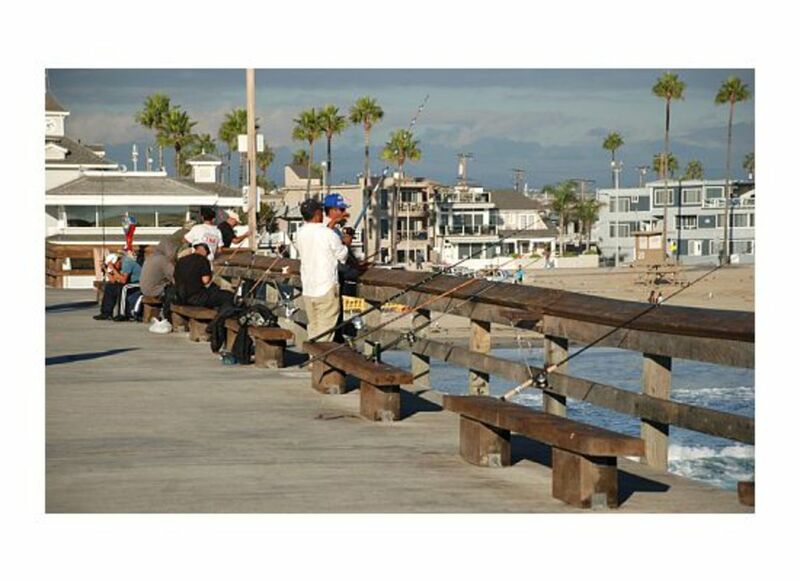 Balboa Island, Laguna Beach, and Huntington Beach are especially crowded on Saturdays and Sundays. If the weekend is your only choice, your best bet is to try to get to Balboa Island (as one of your first stops) early in the morning. That way you won't have to wait in a long line to take the little ferry boat ride across to Balboa Peninsula. Weekends: You might think that if you come on the weekend, you'll avoid the freeway traffic. As a non-native to California, I am continually baffled at how many cars there can be on the freeways on the weekend. I have no idea where everyone is going, but they're all buzzing around, so it's best not to count on a slow traffic day on Saturday or Sunday. The beaches are quite filled on the weekends and walking around Balboa Island is a bit like a walk at the Minnesota State Fair in August! But as mentioned before, if you have to do this leg of your trip to California on the weekend, come on down to the OC anyway. It will be worth it! Oh, by the way, if you are staying near the toll way on the east side of Orange County, you might want to pay for using the tollway (FasTrak) instead of the freeway. A ride on the 241 from Yorba Linda, for example, is beautiful. Also, if you have additional time, apart from this itinerary, drive down the 73 south from Newport Beach toward San Juan Capistrano; it's breathtakingly beautiful! Just have plenty of change ready. If you have a friend in the area who has a FasTrak device, he or she might let you borrow it, or better yet, your friend will be the driver on your most excellent adventure in and around the OC. 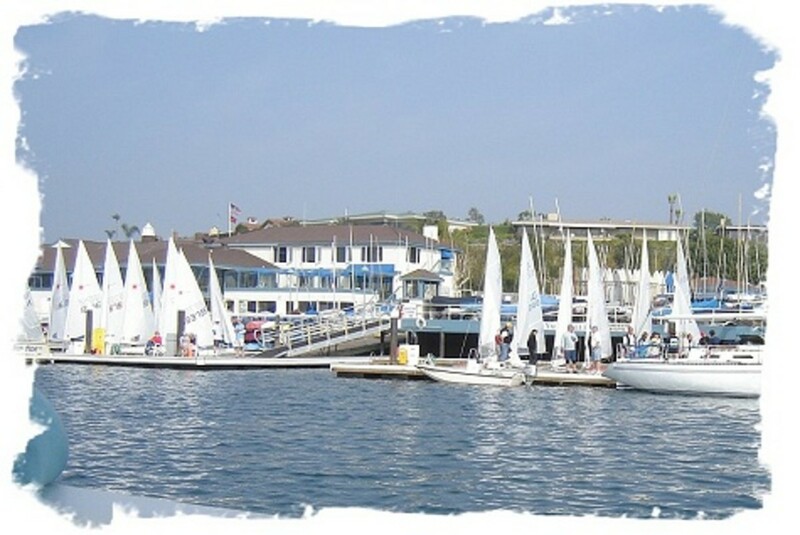 If you love sailboats at sunset, stunning landscapes and landscaping, spectacular ocean views, and if you can handle the socio-economic questions that viewing one of the fourth most affluent counties in California evokes, then the southern part of the OC (Orange County, California) is a must on your travel itinerary. This article is meant to give you a step-by-step guide for a day trip from your hotel at Disneyland in Annaheim or from Los Angeles or San Diego and will take you to Corona del Mar, Balboa Island, Balboa Beach, and Newport Beach. We'll also take a look at Laguna Beach, and Surf City, USA (Huntington Beach) in case you start your day trip at the crack of dawn or have an extra day to spend in the OC. So put on your sunscreen right now (the kind whose fragrance reminds you of fun) and let's take off. Your route: The night before your trip, figure out how to get to Jamboree and the PCH (Pacific Coast Highway, also called Coast Highway, Highway 1, Coast Highway 1, or US 101). 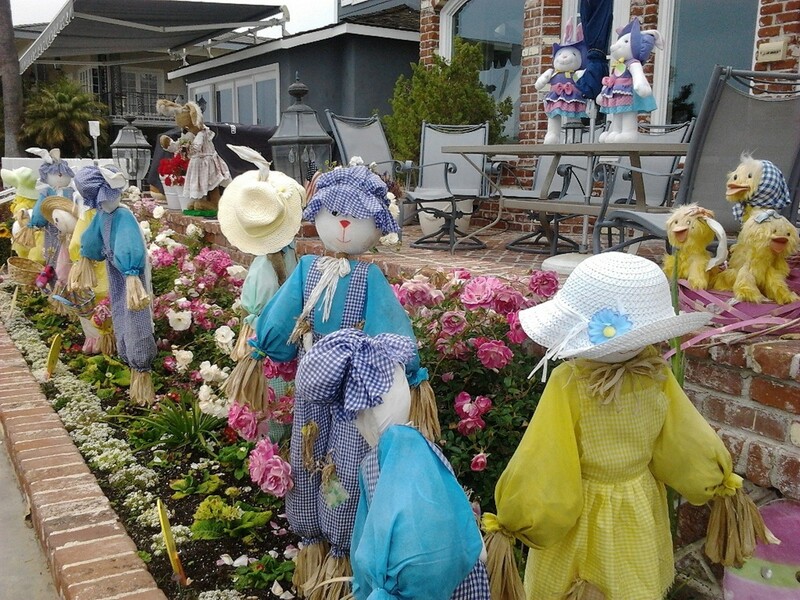 If you ask for directions to the PCH; almost anyone who lives here will know what you mean. Food: If you and your family are trying to save money, I'd suggest packing a few sandwiches and cold drinks for lunch in a small tote-able soft-sided cooler. 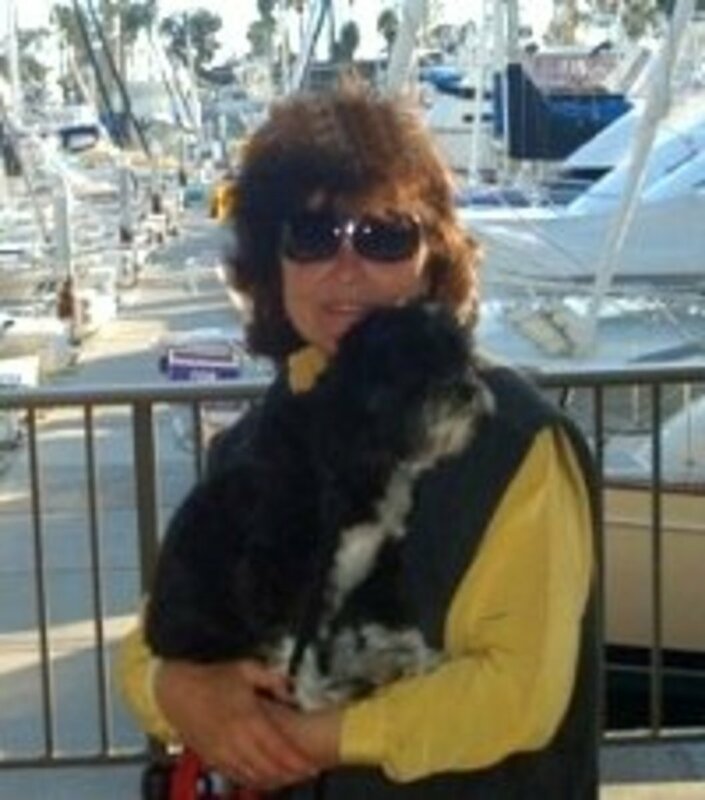 If you have some money to spend and don't mind "vacation" food, you can certainly grab a hot dog, corn dog, frozen banana on a stick, even sushi on Balboa Island and at Ruby's Restaurant on one of the piers that is scheduled on "Billie's Perfect Day Tour for You". Of course, there is wonderful higher priced dining all over Newport Beach. (Although not on this itinerary, you might want to check out the Back Bay Bistro at Newport Dunes. This restaurant has one of the newest, most modern European architectural designs that you'll find, complete with a retractable roof; and the menu is filled with award-winning selections. In spite of its sophisticated styling, you can feel comfortable in casual attire just as you can all over the OC where you invariably have sand in your sandals. Directions:There are other ways to get to Corona del Mar, but the ride down MacArthur will "wow" you. (I'll leave it at that). So, let's assume you've come down from LA and ended up on CA-73 going South. Exit at Corona del Mar Fwy/MacArthur toward Newport Beach. Follow MacArthur down to Coast Highway (CA-1/the PCH). Turn left (south) down the PCH to Marguerite. Turn right on Marguerite to the ocean! Drive down Ocean Blvd. for a block or two, and park your car anywhere along the street (no meters). You can sit for a while and watch the boats go in and out of the breakwater (stone jetty to the north) or walk down the block toward the south. Later you can come back and walk all the way down to the ocean on either the north end of Ocean Blvd. or the south, but don't do that now. We have a lot more to see. This was just to give you an overview of where you'll be going next (and provide tweaking of the aesthetic part of your mind). 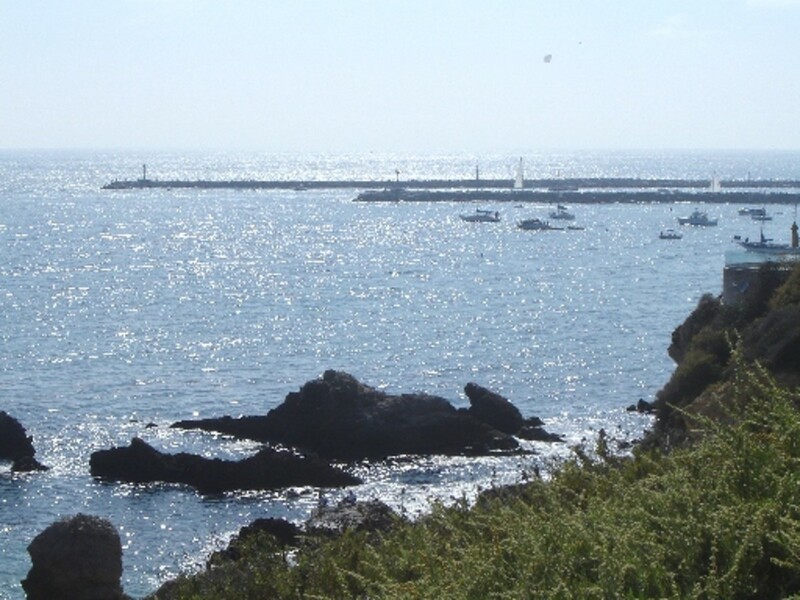 Make special note of the breakwater where the boats go into and out of the ocean because you'll be traveling there yourself in an hour or two from your visit to Corona del Mar. Get back in the car and go south to the end of Ocean Blvd. to Poppy (It's the easiest way to get out of this section.) Take Poppy back to the PCH and turn left (North). Tip: If you come back to Corona del Mar after your tour or decide to visit the next day, (and if you love to observe marine life in tide pools), walk down on the left side (as you're facing the ocean) which is the south end of Ocean Blvd. It's a long walk down on a gently sloping decline. When you reach the bottom, you can play in the water or walk a little further south and see all kinds of small marine life in the tide pools. If you walk down on the north side of Ocean Blvd. 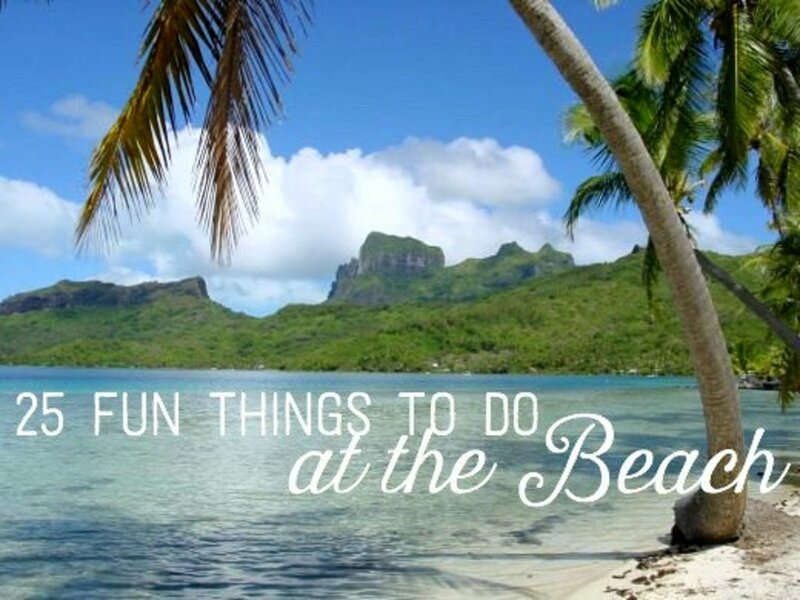 you'll also be at the beach where the local high school kids party at night around the fire rings. You can walk along the breakwater (jetty) which is the same jetty you will go through on your boat tour in a little while. Directions: So you've found your way back to the PCH and you're traveling north on Coast Hwy (CA-1/the PCH) looking for Jamboree (about 4 miles from Poppy or Marguerite and the PCH). 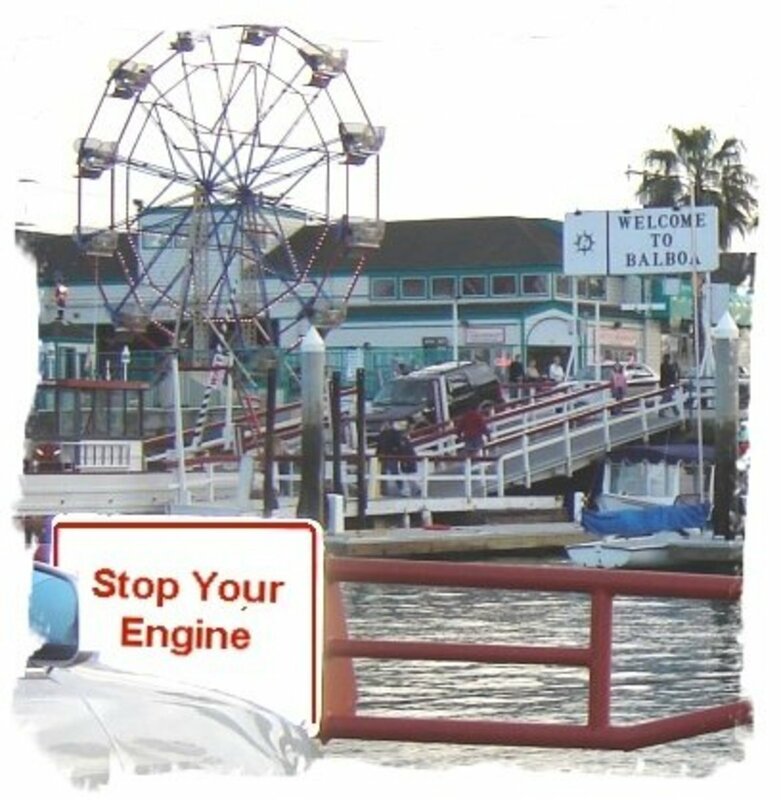 Turn left on Jamboree toward the ocean again and enjoy the view as you cross the short sweet Balboa Island bridge taking you onto Balboa Island. You'll see quaint little shops immediately, and if you're here in the morning, on a week day, you'll have no trouble finding a place to park along the street (Jamboree Rd. has become Marine Ave. at this point). There are no meters, so "not to worry" once again. There are all kinds of shops here with art and beach outfits and souvenirs. (I found that the women's clothes here are sporty, comfortable, and actually very reasonably priced on Balboa Island). There's a lovely little church, St. John Vianney, and a famous historic stand that sells chocolate covered frozen bananas and the famous Balboa bar. There's a shell shop that is one of my favorites. 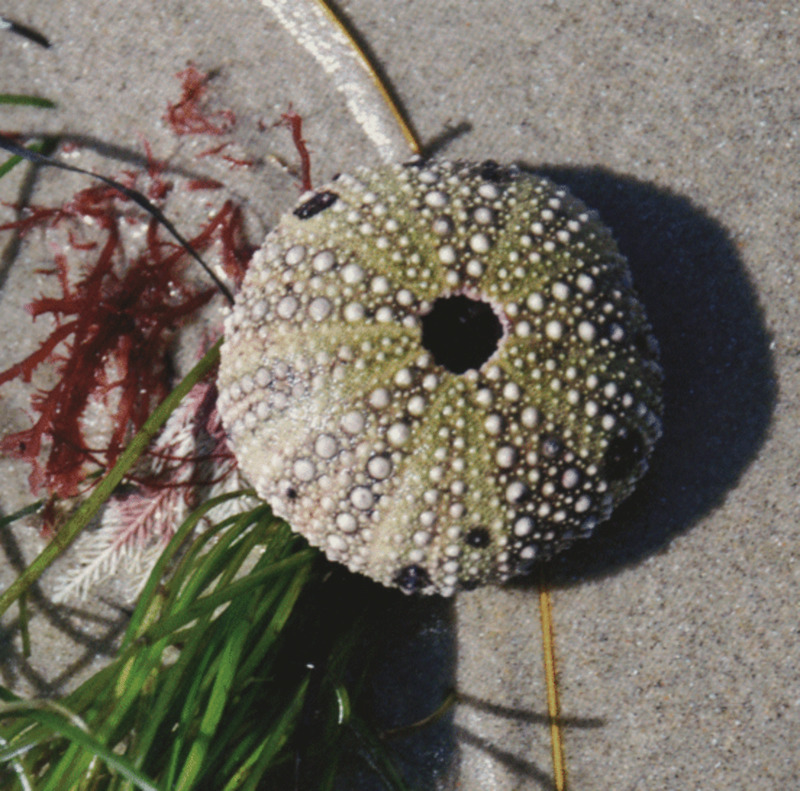 You can get a nice little starfish or sand dollar for a few dollars. If you have children, don't miss the adorable children's book store that is tucked among some of the shops on this side of the block. Across the street and up the street from the frozen banana stand and shell shop, there's a bright and cheery candy shop on one corner. If you need the familiar, there is a Starbucks on one corner and a Post Office so your postcards can be stamped from the historic Balboa Island! But hurry along now because we have to get to the ferry to take us across to Balboa Peninsula where we'll embark upon a charming and informative boat tour at the Fun Zone. We need to be there by either the 11:00, 12:00, or 1:00 or 2:00 departure times if we're going to make it to our other stops. We're now back in the car and headed toward the Balboa Ferry to take us across the harbor to Balboa Peninsula. Although, not technically a stop, the ferry boat ride is so quaint and lovely, we'll call it a stop anyway. To get to the ferry, just continue going west as you had been when you got onto the island. Go to the end of the row of shops to the corner with the Fire Station. You'll see a sign for "Auto Ferry" and you'll turn right, following that street (Park) for several blocks to Agate St. You'll see another "Auto Ferry" sign which will direct you to turn left if you've lost track of the street names. You'll be on a short street as you will see the cars lined up for the ferry. (The Balboa Ferry can take 3 cars at a time or you can walk on or bring your bikes.) Although you could park on this side of the water and walk onto the ferry, you will be walking another couple blocks after your boat tour, so you might want to simply take your car onto the ferry. The cost is usually around $2 per car and driver and $1 per person, so it's not too expensive for a short but beautiful view of the harbor to the right and left. (Click title above for website with all necessary information on the ferry boat ride). As the ferry boat docks, you'll see the boats for the tour you are about to take. (Of course, you can't help noticing the whimsical Ferris wheel as well. I'd suggest telling the kids they can come back to the Ferris wheel, merry-go-round, bungee jump, and arcade after the tour). If you're close to the top of the hour when you exist the ferry, drive immediately forward and after a very short block, you'll see public parking. (This is where you'll need those quarters.) So quickly put your quarters in the meter (one quarter = 15 min. as of this writing). Put in two hours worth and quickly turn back toward the ferry and Ferris wheel and turn RIGHT. You'll see a booth marked for harbor tours. Take the full 90 minute narrated tour around the harbor (two 45 minute tours with the boat docking after the first 45 minutes and picking up new passengers.) If you simply don't want to spend the two hours for this tour, at least be sure that you're taking the leg of the tour that goes out to the ocean to the sea lions. This tour will take you through the breakwater/jetty that you saw from Corona del Mar and, in my opinion, has the more interesting features. 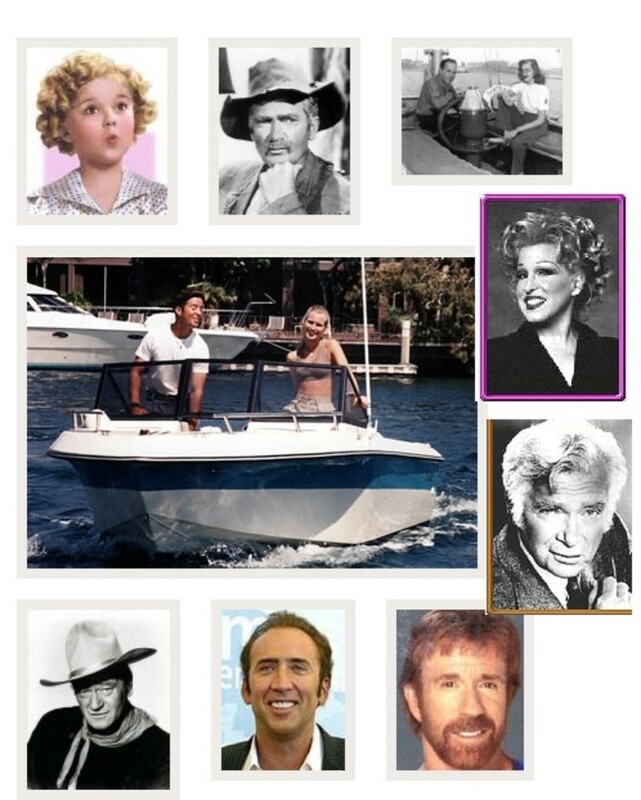 With the full tour you'll see the home Shirley Temple bought for her parents, Candice Bergen's summer home, the house Nicholas Cage used to own, John Wayne's boat, The Wild Goose , and many other fascinating features relating to the "rich and famous". I've taken friends and family on this tour probably 12 times, and each time I learn something new. Tip: You can take the sandwiches you packed or the snacks and drinks you picked up on the boat. (We always sit on the right side of the tour boat because most of the features are on the right as the boat moves along. The top deck is also our favorite because we love the wind and cool breezes and it's a good vantage point for pictures). But I hope you didn't forget don't forget your sunglasses, sunscreen, and a little jacket if it's winter because it does get breezy on top. Oh, one thing about the narrated tour. You'll see the place where Gilligan's Island was shot, BUT the tour guide refers to "where the SS Minnow was launched. A lot of people don't get that reference. Notice the "Irvine Blue" as the boat tour guide points out the Irvine's beach home. The ocean is only a block and a half away (approximately). Either put more quarters in your meter and walk over to the ocean or drive the short distance to the parking lot adjacent to the ocean. There is one lot with meters here or go into the gate and take a ticket and pay on the way out. You'll see kids on skin boards and Boogie boards riding the waves. Walk out to the end of the pier and along the way, you'll see seagulls and fisherman and ways crashing against the pilings of the pier. Ruby's Restaurant (one of the many along the coast in this area) is at the end of the pier. This Ruby's has open air seating on the roof of the restaurant. There is glass around the edges, but you still have a beautiful view. I'd suggest just having a drink or malt here if you're planning to eat supper at Joe's Crab Shack. Tip: It can get chilly in winter and windy at the top of Ruby's open air restaurant and pigeons will be waiting for your next french fry to drop. Again, don't forget your sunglasses. It's also quite bright up there. 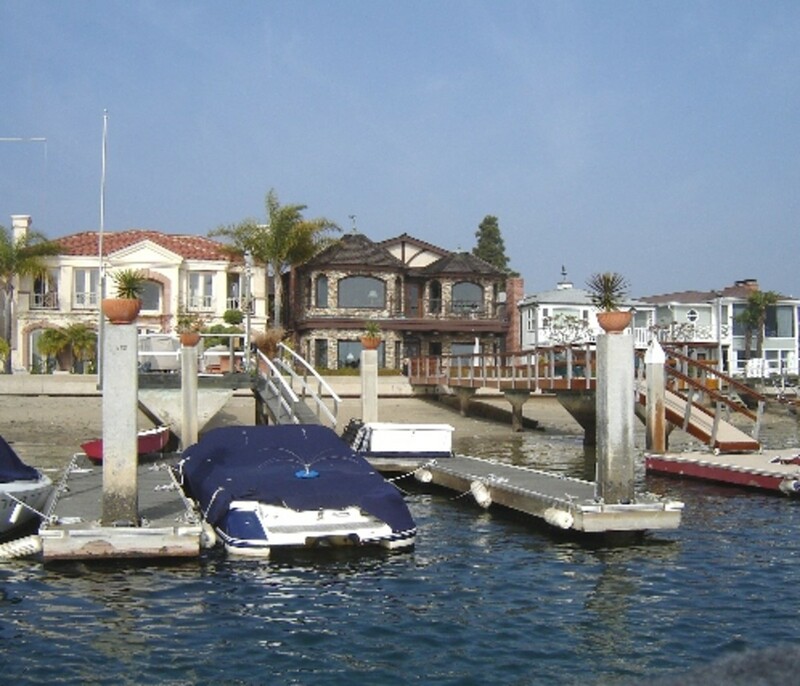 Take Jamboree, cross the PCH (Pacific Coast Highway - H)ighway 1, cross the little foot bridge and you'll find yourself on beautiful Balboa Island! Watch surfers and seagulls up close here. Come early in the morning for the best waves. Yet another beach in Newport Beach, California! Why this one? you ask. Well, I chose this on our stop for several reasons. First, the ride to Newport Beach from Balboa Beach is interesting since now you'll be driving on Balboa Peninsula. (You could take the Ferry back to the PCH and go all the way around, but you already saw that part, so let's try this way). Directions to Newport Pier from Balboa Pier: From the parking lot at Balboa Pier, turn left onto E. Balboa Blvd which will become W. Balboa Blvd. Continue for almost 2 miles and follow the signs to Newport Pier. It's always easy since the ocean is your guide! You can park in the metered lot and have another walk along the beach. You'll see many more surfers here and they're on regular boards rather than the boogie boards and the skin boards. (I've gone to Newport Beach at 6:30 in the morning and there are plenty of surfers in the water at this time of day when the waves are good and the day's work hasn't started). There's a charming little seaside scene set up so you can take some interesting pictures. Walk down to the end of the pier and you can stop for a drink at the Newport Pier Grill and Sushi Restaurant that has outdoor seating where you can watch the crash of the waves, the fisherman pulling up all manner of marine life from the pier below, and perhaps a sea lion or two frolicking around the pilings and trying to catch a snack on the fishermen's bait. Of course you'll have a chance to take some up-close pictures of seagulls and pelicans along your walk! If you plan on heading out to Huntington Beach, just take a few pictures here, and off you go to Joe's Crab Shack back on the PCH. As of January 2019, Joe's Crabshack is being replaced by a new restaurant: We encourage you to follow the directions listed here and check out the new restaurant since we're hoping it has the same open seating with a view of the harbor. (We'll keep you posted). If the new restaurant is not open, the Rusty Pelican may be your next best choice. Directions to Joe's Crabshack (and other restaurants) from the Newport Pier: Zigzag your way out of the parking lot, away from the ocean (right at Court, left on 20th, and left onto W. Balboa) continue on W. Balboa which becomes Newport Blvd. Take the ramp onto CA-1 (Pacific Coast Highway) and go south to 2607 W. Coast Hwy. Now, you'll see all kinds of restaurants along the PCH on your route. But there is a special reason I picked Joe's Crab Shack for you and at the time stated (before sunset). Can you guess from the picture what that reason is? This restaurant, in my estimation, has the most beautiful view of the harbor up close. The Rusty Pelican up the road has great food, but it's more expensive. More importantly, while you can view the harbor from the Rusty Pelican, there is nothing like the close-up view of the harbor from the full-length windows at Joe's Crab Shack. It does get a little noisy when the wait staff stops to do a cute line dance every so often, and there are birthday celebrations with honored guests dancing down the aisles, but all of that will just lift your spirits!. You'll be sitting just a few yards away from spectacular yachts and have the opportunity to watch the sailboats and wedding cruise ships go by. It's my favorite place to bring guests. Hungtington Beach: So now you've seen some of the most beautiful highlights of Orange County on your trip to LA. If you're here in summer, there's still plenty of time to go up the PCH to the Huntington Beach pier. You'll still catch surfers at this time of night and can walk the pier to finish off your meal at Joe's with a really good chocolate malt (not a shake, mind you, but a genuine MALT). If you lucky, you might see some dolphins swimming by. If you love dogs, you'll see a beach full of them at the Huntington Dog Beach. You might not have time for this on your one-day itinerary, but if you decided to extend your visit, travel "up" the PCH (It feels like north, but might not be at this point of the curvature in the road). 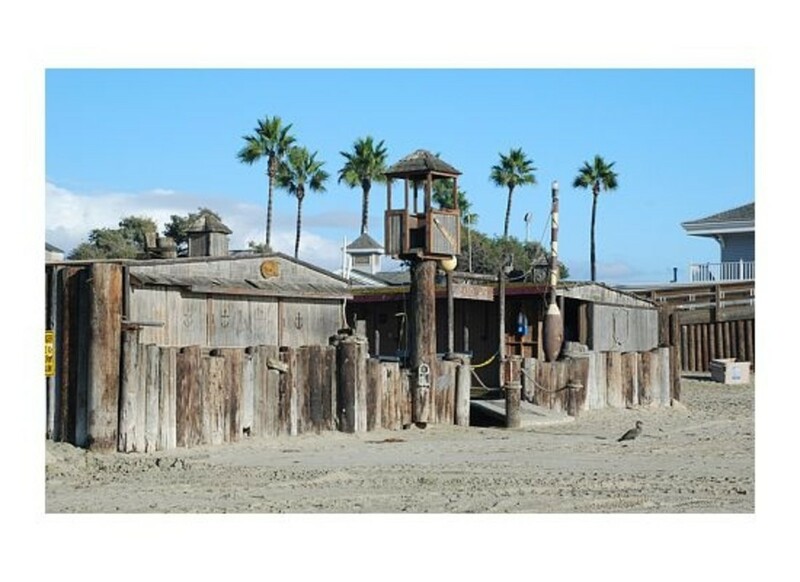 The dog beach is officially at 100 Goldenwest St., but it's tricky so use your GPS. You'll have to make a U-turn so BE CAREFUL. Parking: There is a parking lot here where you pay, but the meters are not at the car. You need to find the "vending machine" and put your quarters/dollars in there. There is parking on the street as well, again with the meters. If you're looking for souvenirs, you can buy some right on the pier or cross the PCH and walk down the street to Surf City's beach shops. Remember the Meters!!!!!!!!!! A parking ticket is $40 here and the Huntington police just don't blink an eye at giving you a ticket for a minute over your time. Fortunately in between the time of this writing and 2013, many meters take credit/debit cards. Still be careful you don't "over-park". 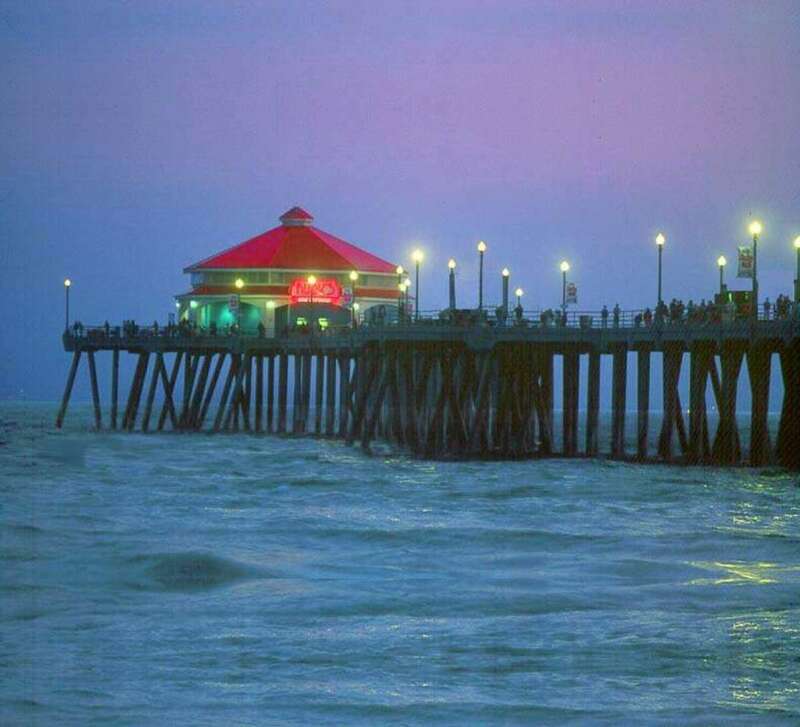 For an excellent article on even more to do in Huntington Beach, read fellow hub writer's hub "Top 5 Things to Do in Huntington Beach, CA"
If you love art over Surf City, after coming from Joe's Crabshack or from Balboa Island, do DOWN the PCH and head down to Laguna Beach. (It may not exactly be in a southernly direction depending where you're coming from because the coast is jagged around the OC. Laguna Beach is about a 20-30 minute drive Jamboree. 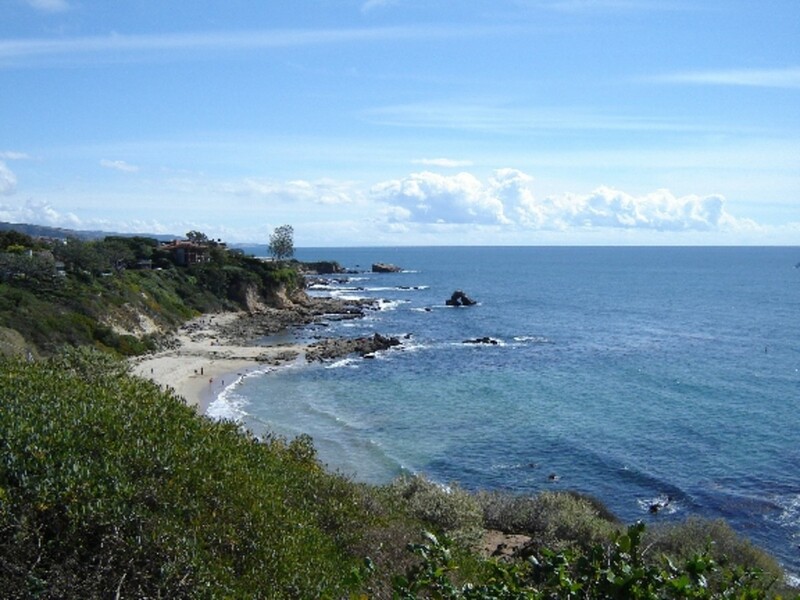 You'll pass Crystal Cove and see a spectacular strip of the ocean along the way. Again, you can park on the street with the meters. You'll have a lovely view of the ocean from Greeter's Corner Restaurant and if it's still light enough, you can walk north along the beach to the rocky area and look in the tide pools. But the art galleries in this area are spectacular and you'll surely at least want to look into the windows. Or if you fell in love with the view at Corona del Mar, you might want to end your day up at Inspiration Point watching the sun go down or walk down on the beach where the fire rings will be burning and local kids will be hanging out having fun. (That area reminds of the scene on the beach in "Karate Kid" where Daniel-Sun first meets his soon-to-be girlfriend, Ali). But no matter where you choose, I hope you will be able to watch the sun as it sets over the spectacular and powerful Pacific Ocean, and I hope you've had a wonderful day on your trip to the OC. I think we've packed in just about all that is humanly possible in this period of time (and then some). So as you drive by on the PCH, look to the east. If you see some RVs in the park at Newport Dunes on the Back Bay, just wave as you go by and wish us well. Perhaps, it will be a time when we're lucky enough to be staying once again at one of our favorite places in this big wide world, and we'll catch your positive vibes from the PCH! If you have more time than permitted by the one-day itinerary above, travel down Pacific Coast Highway (PCH, Coast Highway) towards Dana Point. 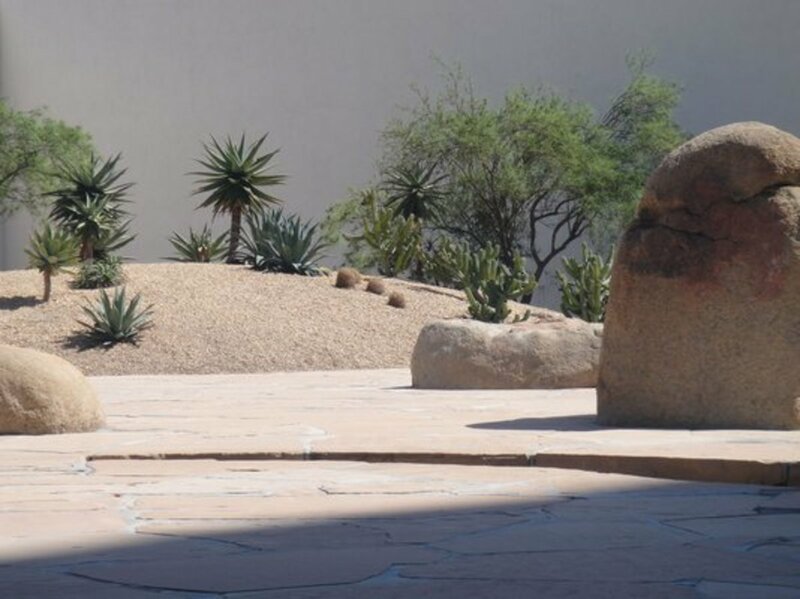 Turn on Green Lantern (not Blue Lantern, not Golden Lantern, but GREEN Lantern) and wind around up to the Dana Point Interpretive Nature Center and from point you'll see one of the most spectacular views you'll see anywhere. From the Interpretive Center drive down the hill to Dana Point. BE CAREFUL because the road is narrow and the view compelling! 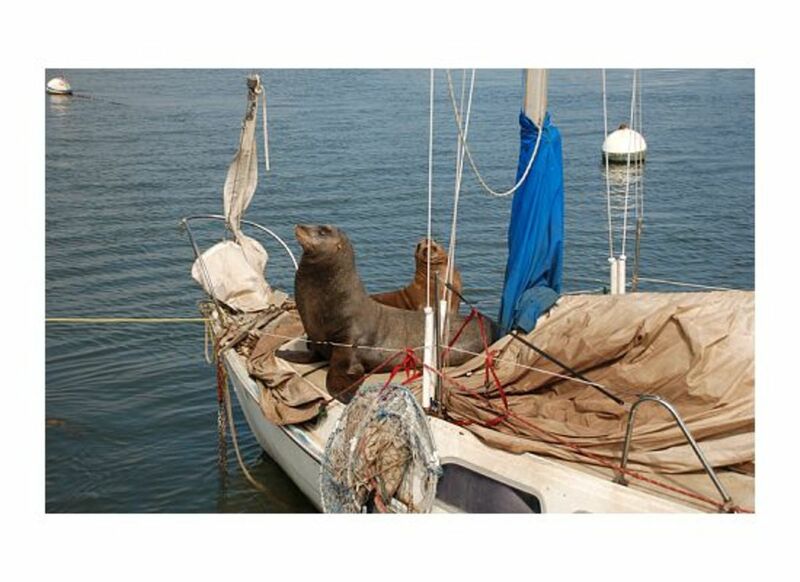 At Dana Point Harbor, you'll see "tall ships". Travel a little further and you can park in the free parking area and walk over to the quaint shops, have some coffee. If you have time, walk over to the pier and have a lovely outdoor lunch at Wind and Sea or an evening jumping time at Turks. See you there. I'll be the one holding my little dog, Scooter. Sad to say, our little dog, Scooter passed away at 15 1/2 and we have been searching for a new dog for a few years now. We'll be publishing Scooter's little dog blog sometime during 2019 hopefully! 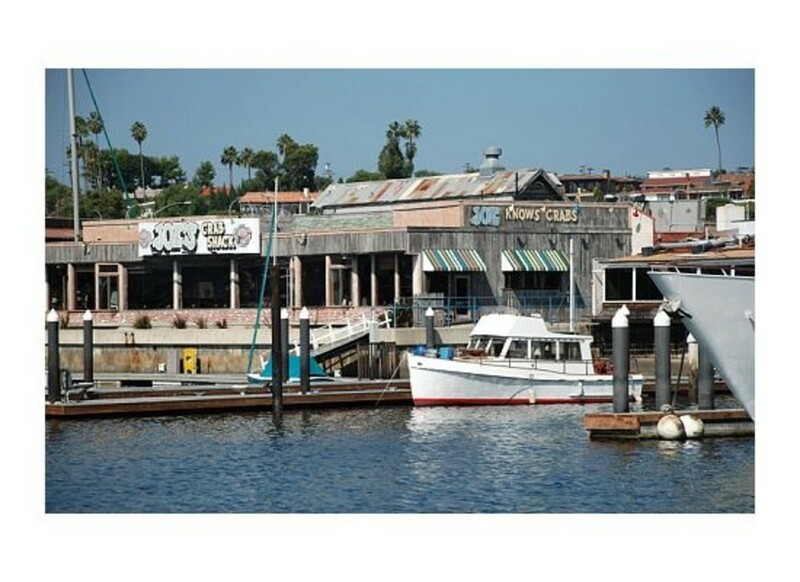 Another loss, but not as significant, was our favorite restaurant for viewing Newport Harbor was Joe's Crabshack. New construction is going on as of January, 2019, and we'll keep you posted. We're hoping that no matter what the menu, the wide open viewing of the Harbor will remain. Great article on the area in which I was raised! It made me homesick! My Big Bear guide was deleted before my lenses transferred over. It would not have met the parameters of HubPages. It was one of 59 deleted that need to be reworked before reposting. I will let you know. I don't think that Big Bear can anyway compete with the winters you know. We go there in the winter for the boy to tube down the slopes. The real problem with Big Bear is the traffic in and out on holidays and weekends. Hi Ann, I do have to find your guide on Big Bear. We're from MN originally, so we really do want to become familiar with Big Bear - but not in the winter. Fifty-plus years of mid-western winters are enough! I am familiar with the "Lantern" streets. My sister-in-law lived on Amber. This is a well done guide. I have a similar guide starting with breakfast in Big Bear, lunch in Palm Springs and marshmallow roasting at Huntington Beach. I think it's our job to let people know about our home. We are so much more than just Disneyland and Hollywood. Amanda, thank you so much. It's a beautiful place. I look at the view of the homes on the hills down the coastline at Laguna Beach and I think, "This much be what a vacation on the Mediterranean is like." Awesome hub! So much information, great job! I will definitely use your advice when go there, thanks for sharing. Wow, your a lucky man, traveling for me is something so cool to and special to do. Yes, I will be writing more about my beloved Country, maybe few days from now. I am currently busy on my studies, so I cant concnentrate on my hubs specially, those hubs which requires proper and great efforts on researching for you guys to enjoy. Anyway, one thing so sure about my Country. 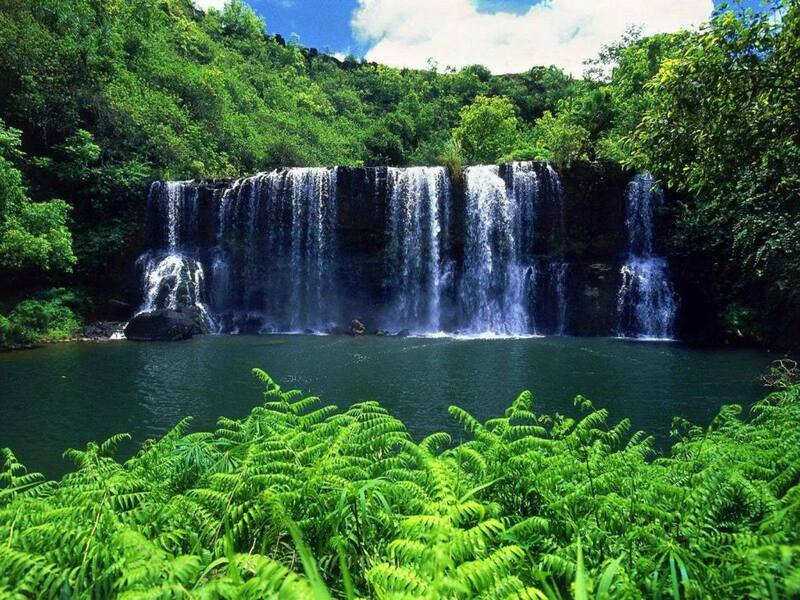 Its natural beauty always been our PRIDE and something to always be proud of. 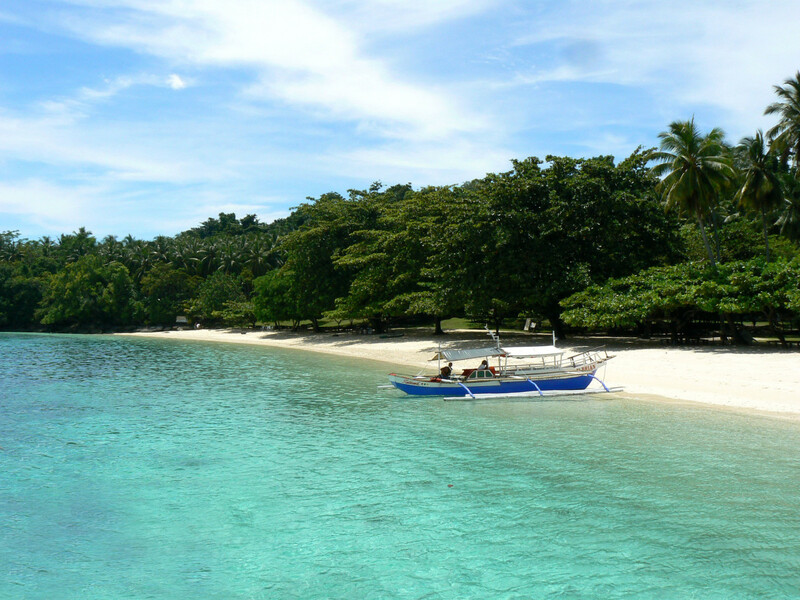 And its more fun here in the Philippines. Like a dream come true going there! Also, great hub! very detailed hub I should say. Hope maybe 2 more years I will come and enjoy it not only on my imagination but in real. Wow! This is a perfect guide for us native Californians also. I'm using the info here to make it much easier next time guests come to visit. I'll break it down into several days worth of entertainment and it will make it much easier to not have to do all the thinking and planning. You've covered it all! Thank you, thank you, thank you! Excellent hub! This is going to help our family in planning our trip in just under a month. Thanks!